I’ve been told by my local extension agent that we have sand fleas. We’re down here close to Savannah GA and I noticed these little bugs that looked like pepper all over my front porch. When I walk around my home, I see them on the siding too. What do you have that I can spray to get rid of them? My agent says they’re also known as springtails. Sand fleas are another name for springtails. And if you read through our SPRINGTAIL CONTROL article, you’ll learn everything you’ll ever need to know about this pest. The “quick story” on sand fleas is that they exist outside in the soil and when their populations get large enough, they’ll migrate out of the ground and onto the side of the home. And if you let them live there without treating, its just a matter of time before they get inside. Sand fleas exist most everywhere and though you might be seeing a lot, they’re easy to control with the right spray. The key is to first treat the ground with BIFEN GRANULES. This slow releasing granule will last 30 days or more and after its applied, the active will seep down into the ground several inches and kill any active sand fleas in the treated zone. Use 2-3 lbs per side of the home and expect to treat once a month when they’re active. In your part of the state, this would be a good 9-10 months of the year. Also, be sure to cover 5-10 feet out from your foundation. The goal of treating this wide area is to create a “springtail free” zone so they will no longer be living immediately adjacent to your home. This will help dramatically by reducing the amount you see when they decide to migrate. 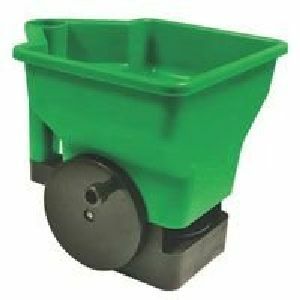 Use a HAND SPREADER to apply the granules; this one holds about 2 lbs of granules and is easy to use when treating flower beds, mulch areas, etc. 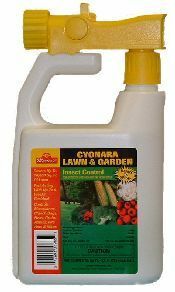 Once the granules are down, you’ll need to spray over the top with CYONARA RTS. This liquid concentrate is easy to apply. 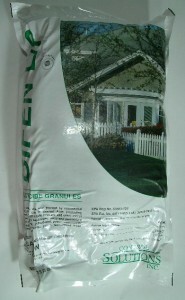 Just hook it to your garden hose and spray it over the granules and then on the siding of the home. Go up about 5-8 feet making sure you get around doors, windows, patios and porches. Cyonara will kill active springtails on contact and should keep killing them for 1-2 weeks. But for bad infestations, you may need to treat more frequently (like once a week) until you don’t see them coming back. Expect to use 1/4 to 1/2 jug per treatment when spraying the ground and home siding. And once they’re gone, don’t stop treating. Applying granules and liquid spraying every 1-2 months will insure they can’t come back. 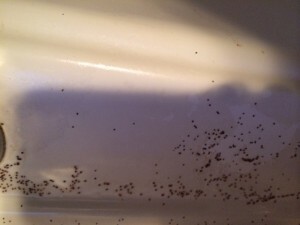 Now if you start seeing sand fleas inside the home, review our SPRINGTAIL ARTICLE for more information on how to spray in living areas, in the sink, etc.